USMNT international centre-back John Anthony Brooks is available again after missing Hertha Berlin's last three matches with a groin injury. Peter Pekarik picked up a hamstring problem in the 3-3 draw with Eintracht Frankfurt, however, and is set for a spell on the sidelines. Hertha head coach Pal Dardai has already confirmed that in-form Mitchell Weiser will revert to right-back in the Slovakia international's stead. Facing a Hertha side that have lost only once this season, Markus Gisdol could not have wished for a more testing debut as Hamburger SV head coach. The former TSG 1899 Hoffenheim boss will be without right-back Dennis Diekmeier and is also sweating on the fitness of Swedish midfielder Albin Ekdal. It remains to be seen what part Croatian midfielder Alen Halilovic has to play after being dropped from the matchday squad by former HSV coach Bruno Labbadia prior to the 1-0 defeat to FC Bayern München. 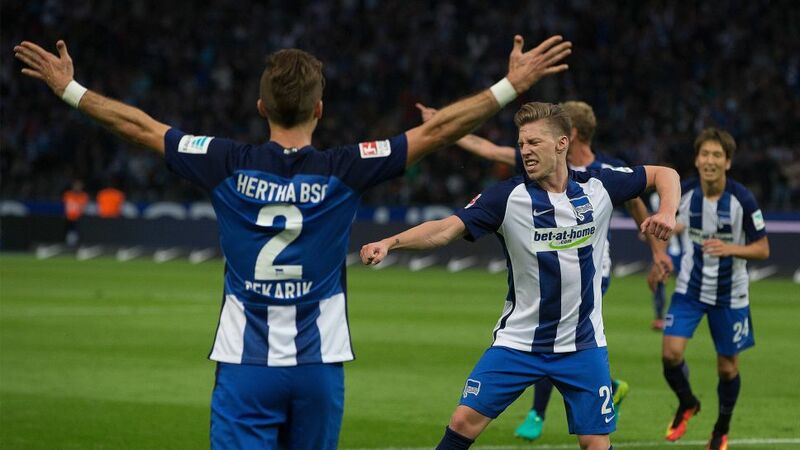 Hertha play host to Hamburg with the game kicking off at 15:30CEST/13:30GMT on 1 October.